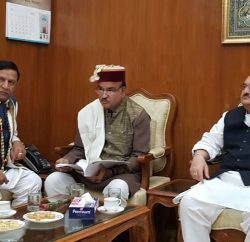 On the first day of monsoon session of the Himachal Pradesh Vidhan Sabha, opposition BJP stalled the question hour and demands a debate on devastation due to rain in many parts of the Kinnaur and other districts of the state. 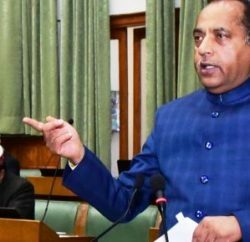 Vidhan Sabha speaker Brij Bihari Lal Butail attempted to pacify the opposition members, saying that chief minister Virbhadra Singh would make a statement in the House on devastations caused by rain. 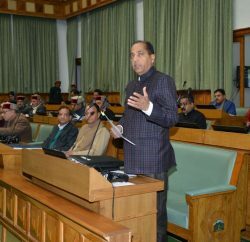 Earlier, chief whip of the opposition and Shimla legislator Suresh Bhardwaj inquired about the fate of notices moved under Rule 67, seeking adjournment motion to deliberate on losses caused by rain in the state. Other legislators of the BJP endorsed Bhardwaj’s demand for suspending the question hour to discuss the rain losses. Butail rejected the adjournment motion and apprised the House that notices given by the opposition members were not as per rules of the House. He said that a single notice was received by the Vidhan Sabha secretariat, which was signed by different MLAs instead of separate notices signed by different MLAs. However it led to uproar in the House as opposition MLAs stood up from their seat and began to raise slogans to press for their demand over adjournment. BJP leader Ravinder Ravi told the speaker that notices were forwarded to the speaker after consultation with the Vidhan Sabha secretariat. 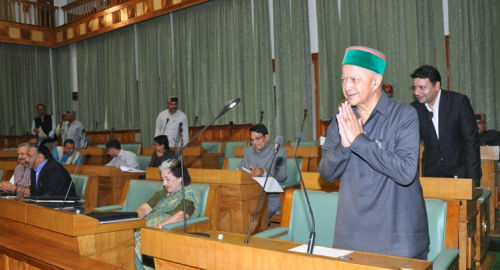 Leader of opposition Prem Kumar Dhumal suggested that if the speaker deemed it appropriate the calling attention motion moved by Dharampur legislator Mohinder Singh Thakur on repeated earthquakes in the state could be clubbed with deliberations on rain and the House could hold discussion on natural disaster. Speaker rejected it either. Parliamentary affairs minister Mukesh Agnihotri read out the rules while the opposition members consistently raised slogans. The opposition members rejected Agnihotri’s request for allowing the chief minister to make a statement in the House. However, amid the pandemonium, the speaker initiated the question hour, where Congress members raised questions on several issues. Complete pandemonium prevailed in the Vidhan Sabha, when BJP members entered the well of the House and keep raising the slogans against the government. Even the opposition members moved close to the chief minister while he was replying to questions. Opposition legislators also targeted food and civil supplies minister GS Bali for unavailability of sugar in government-run depots. The House continued to proceed amid chaos and the chief minister made his statement on the flood situation by tabling it on the floor of the house. Later, while talking to the press, Chief Minister Virbhadra Singh lambasted at the BJP for disrupting the House on the first day of the session. He said it was the privilege of the speaker to allow debates, not the government.